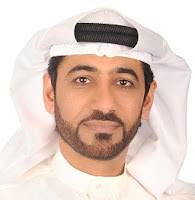 We are very pleased to welcome to the worldwide Knoco family, Dr. Abdulhameed Alhosani, the director of Knowledge Consultants; Knoco’s franchisee in the Gulf States (GCC countries). Abdulhameed has over 25 years of experience on various fields spanning from quality assurance to training programs and lately change management and knowledge management. He holds a PhD in chemistry from the University of Glasgow, has research experience and published scientific papers and authored two books.